The Big Mac: Is 50 Years Too Long? McDonald’s iconic Big Mac is 50 years old in the summer of 2018. It’s hard to think of many other products that are so familiar, so ubiquitous in the US and globally AND that are 50 years old. So much of what’s front and center in our lives is less than 20 years old. What’s interesting to me, as a leading advisor to owner-run companies, is that the 50th anniversary is not causing a great deal of happiness. The Big Mac is not the icon to millennials that it has been to their parents and grandparents. Its competition is what’s known as the “better burger” such as at Shake Shack and Five Guys. Away-from-home eating trends have clearly moved in the direction of fast casual, which means food that is more healthful, allows for complete personalization as a matter of course, and just bit more expensive. But observers do not see McDonald’s pivoting from the Big Mac any time soon. One of the most successful pivots is going from selling compliance tasks to providing high-value outcomes. CPA firms become full-spectrum financial analysts and advisors which builds owner wealth. Completing tax returns and audits is a component of that. The clients love having all their financial management needs handled in one place. Budget and pricing experts pivot from one-off projects to forecasting and modeling for long term planning and more focused business development activities. The financial advisor whose firm meets a full range of affiliated needs, such as life and long-term disability insurance, college savings plans and others benefits. Another pivot is from waiting for buyers to come to encouraging buyers come soon and to come more often. Clients have made this pivot by booking future appointments backed up by a powerful system of reminders. This increases the average number of appointments per year, whether the company is a law firm, a salon or an auto services company. A powerful pivot for some of my clients has been to develop new products and services in consultation with their best and long-term buyers. By asking people who already know and like your company what else they’d like to buy, you can bring those offerings to market cost-effectively and with confidence that you will have an eager group of buyers quickly. 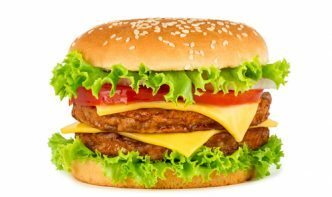 How can your company make similar pivots to avoid becoming mired in the Big Mac situation? If you have ideas, or if you don’t have ideas, book a Listening Call with me to discuss. Reply to this email or call me at 703-790-1424 and we’ll spend about 45 minutes on the state of your company today and options for boosting sustainable growth in the coming months. Previous Previous post: Something Came Up. So?